The circumstances involved two officers of the Kansas City, Kansas Police Department (the lesser known Kansas City), answering a 911 call reporting a male wearing red clothing was selling drugs in a parking lot. There is limited information on whether the caller fully identified themselves as a witness, or simply made an anonymous report. Police responding to anonymous reports or tips face much more stringent review on their actions, when compared to a report from a person who fully identifies themselves, which courts recognize as a much more trustworthy source of information. Two KCKPD officers responded to the parking lot in separate patrol cars. As they pulled into the parking lot, the officers observed a male matching the description of the caller sitting in a vehicle parked in the lot. 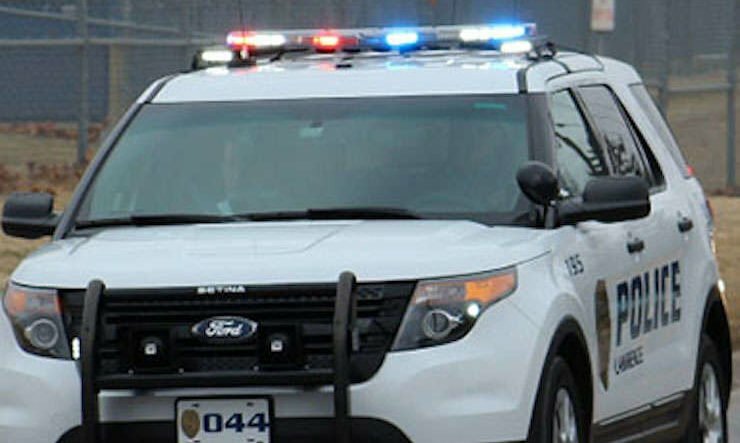 As the officers arrived to the vehicle they both turned on their patrol vehicle’s emergency lights, and then exited their vehicles and approached the suspicious male. Both officers were in full police uniform. As the officers approached, the defendant (Desmond Gaines) exited his vehicle. Upon exiting, Officer Rowland confronted Gaines with the report they had received about Gaines selling drugs. During the course of the investigation the officers observed an open container of alcohol inside of Gaines’ car, and smelled a chemical odor consistent with their training and experience as being PCP. Editor’s Note: The Kansas City region has dealt with the plague of PCP for decades, and it would be very consistent with officers being familiar with the unique and pungent odor of PCP. Kansas is also a State prohibiting motorists from possessing an open container of alcohol inside of a motor vehicle. As the officers went to detain Gaines, he grabbed a pouch from his car and fled on foot. It is not clear about the positioning of the officers when this happened, but it is without doubt very concerning that Gaines could reach into his vehicle, grab a pouch before officers could secure him, and then flee on foot. BlueSheepdog has consistently recommended for officers to avoid “playing their hand” with suspects too quickly. It’s possible the officers confronted Gaines with their suspicions when they were too far away to do anything about his reaction, or it just may be Gaines was quick and committed. Gaines was indicted on Federal drug and weapons charges, but filed a motion to suppress the evidence against him prior to his trial. The reasoning of the District Court and the 10th Circuit Court of Appeals will be discussed below. 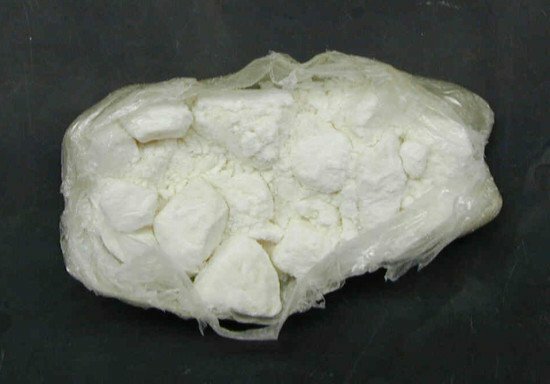 Packaged crack cocaine, it’s a helluva drug (photo by DEA). Gaines was indicted and charged in U.S. District Court with several drug and firearms violations. Not surprisingly, Gaines sought to have the evidence against him suppressed. At the U.S. District Court for the District of Kansas Gaines failed to obtain a suppression of the evidence against him, so he appealed to the U.S. 10th Circuit. As the 10th Circuit began its review the Court focused in on whether the officers seized Gaines during the initial contact as it pertains to the 4th Amendment. Since Gaines had claimed in his appeal that he was unlawfully seized, and therefore any evidence against him should be suppressed, the Court had to establish whether the contact was consensual, a lawfully permitted detention, or an unreasonable seizure. The U.S. District Court of Kansas had interpreted the encounter with Gaines as consensual. During the U.S. 10th Circuit Court’s dialogue there was a clear focus on the police officers’ use of their patrol vehicle’s emergency lights, their approach, and their verbal confrontation with Gaines. As with most seizure considerations by a court, the pivotal point of consideration, “turns on whether a reasonable person would have felt free to leave or terminate the encounter.” In this encounter the 10th Circuit unequivocally answered, “no,” and characterized the encounter with Gaines as a seizure. 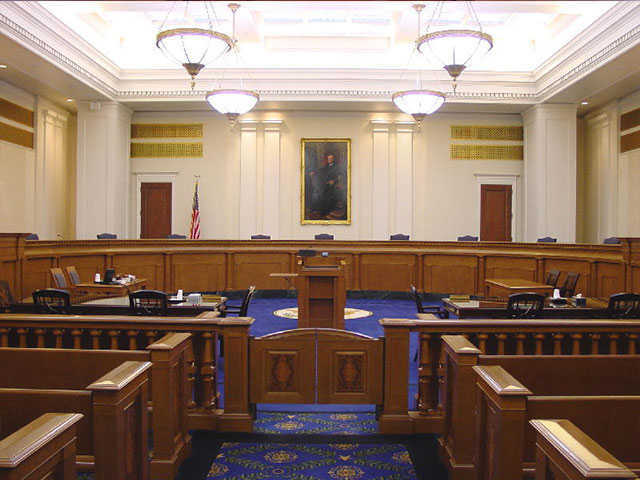 A courtroom of the U.S. 10th Circuit Court of Appeals. In evaluating the circumstances of the police contact with Gaines, the 10th Circuit ruled a reasonable person would not have felt free to leave, and Gaines did yield to the officers’ authority. As such, the Court ruled Gaines was seized, according to the 4th Amendment, when the officers approached him. The 10th Circuit opined the police use of the flashing (emergency) roof lights on two marked police cars, and the approach of two uniformed police officers, “undoubtedly” created doubt from the perspective of a reasonable person as to the freedom to leave. The 10th Circuit also pointed out that Kansas law required motorists to stop whenever a police officer uses their patrol car’s emergency lights. The 10th Circuit overruled the U.S. District Court’s minimization of the use of the patrol car’s emergency lights, from the officers’ testimony they did so because they would be blocking a lane in the parking lot. According to the 10th Circuit, the subjective reasoning of the officers’ decision to use their emergency lights was inconsequential. The important consideration was how a reasonable person would interpret whether they were free to leave. Here, the 10th Circuit ruled a reasonable person would not have felt free to leave. Despite this decision, the 10th Circuit decided to move forward with its examination of the case as if a reasonable person would have felt free to leave. The Court considered one of the officers exited their vehicle and motioned for Gaines to get out of his car. The Court stated a reasonable person would have felt even less free to leave at the approach and gestures of a uniformed, and armed police officer. Yet, once again the 10th Circuit went forward in its examination as if a reasonable person would have still felt free to leave. After Gaines exited his vehicle, one of the officers stood near him only a few feet away while challenging Gaines with the officers being there for someone “up here selling some dope.” The officer went forward by asking Gaines if he had been selling “wet” (a common street term for PCP). At the same time, the second officer on scene was walking around Gaines’s car looking inside. The 10th Circuit ruled the accusatory question, and second officer’s investigatory movements, added to a reasonable person believing they were not free to leave. Federal Appellate Court decisions have far-reaching legal authority. While one officer confronted Gaines, the other officer circled Gaines’s vehicle looking inside. In consideration of all these circumstances, and despite its previous rulings the officers’ actions were a seizure before going forward as if they were not, the 10th Circuit ruled, the police officers showed their authority, and no reasonable person would have felt free to leave. The U.S. Government argued that Gaines ultimately fled from the officers and did not yield to their authority, thus negating a claim to a seizure. The 10th Circuit disagreed. In reviewing the second requirement of a seizure, whether the citizen yields to the officer’s authority or physical control, the 10th Circuit noted Gaines initially complied with the officers requests. When motioned to exit his car, Gaines complied. As the officers talked to him Gaines responded. According to the record, the officers had asked Gaines for identification, and this was subjectively why he reached back into his car – to obtain his identification as requested. Even though Gaines subsequently fled from the officers, the 10th Circuit ruled he had been seized by the officers during their initial contact with their show of authority (emergency lights and uniformed presence high in consideration), and Gaines’s initial yielding to the officers requests. As such, the 10th Circuit ruled the District Court had erred in its findings that no seizure had occurred, and the use of emergency lights was minimal and not a component of the seizure. The U.S. Attorneys appealed to the 10th Circuit using the Attenuation doctrine. This is a legal doctrine where a constitutional violation leading to discovery of incriminating evidence does not require the exclusion of that evidence when only an attenuated connection exists between constitutional violation and the subsequent discovery of the evidence. In essence, if the unlawful actions of the police are separated from the discovery of the evidence, the evidence may still be admitted in court if the separation is great enough to distance the unconstitutional actions of police from the discovery of the evidence. Despite the efforts of the U.S. Attorney’s Office, the 10th Circuit rejected their claims of attenuation saved the evidence of Gaines from being suppressed. So in effect, the 10th Circuit Court of Appeals ruled the manner of the officers’ approach on a suspicious person call (even one where the claim was selling illegal drugs), amounted to a seizure without the requisite probable cause. As such, the evidence located after Gaines’ arrest was fruit of the poisonous tree, not able to be attenuated, and subject to suppression. Finally, the U.S. Attorneys attempted to keep the evidence in play by pointing out Gaines had an active warrant for his arrest at the time KCKPD officers contacted him. Though the officers did not know that at the time, the U.S. Attorneys attempted to sway the 10th Circuit by the concept of inevitable discovery. The argument being, Gaines was wanted, the officers would have eventually realized this fact and arrested Gaines, and subsequently located the evidence against him. The 10th Circuit was not persuaded, and ruled the evidence against Gaines was inadmissible. The 10th Circuit vacated the District Court’s denial of Gaines’ motion to suppress and remanded the case to the District Court to determine whether a reasonable suspicion existed to justify the officers’ search. 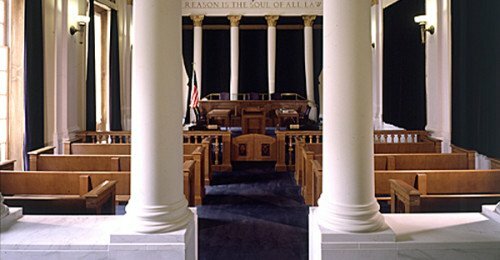 The decision of the 10th Circuit Court of Appeals, based in Denver, Colorado, is now precedent throughout the 10th Circuit (Utah, Wyoming, Colorado, New Mexico, Kansas, and Oklahoma). As previously stated by BlueSheepdog, though the decision of the 10th Circuit is only legal precedent within the 10th Circuit the decision of one Federal Appellate Court is very powerful in the considerations of other Federal Appellate Courts. The decision of the 10th Circuit weighed heavily on the police officer’s use of their emergency lights to conduct what the Court found at best was a suspicious vehicle check. The uniformed officers approach, orders to Gaines, and their blunt accusation that he was selling drugs, amounted to a seizure. At that point, the officers had to justify their seizure with probable cause, a level of suspicion the 10th Circuit ruled the officers did not possess. Officers should remember that 911 calls, and anonymous tips only point officers in a general direction of “possible” criminal activity. In order for a tip to reach the level of probable cause, the information must contain verifiable and particular information that would lead a reasonable officer to believe a crime has been, is, or is about to be committed. In this case, the officers simply had information a male dressed in red was supposedly selling drugs in a parking lot. The 10th Circuit ruled, in a roundabout manner, the officers needed to do some further investigating to confirm the report/suspicions in order to develop probable cause. It is interesting the 10th Circuit did send the case back to the District Court for a review of whether the officers possessed enough reasonable suspicion to at least detain Gaines for further investigation. Should the District Court rule there was enough reasonable suspicion, then Gaines’ subsequent flight from the officers would justify their pursuit and arrest. Then the evidence seized would be from a lawful search after arrest. However, based on upon the information known, it is going to be a big hurdle to convince the District Court a random 911 call sufficed to provide the officers enough reasonable suspicion alone to justify their use of emergency lights and obvious seizure of Gaines. 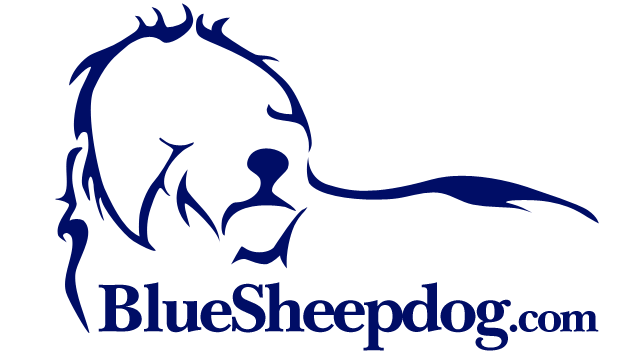 EDITOR’S NOTE: BlueSheepdog provides these legal issues articles for educational purposes only. We are not attorneys, and simply provide the cases for review by our readers. Any legal advice, consideration, or actions should first be discussed with the reader’s supervisors, personal attorney, department legal advisor, or prosecuting attorney. Readers are cautioned not to act upon these articles before fully vetting the Court decisions with appropriate authorities.